In 2015, I curated an exhibition titled “Sydney Goes Gatsby! A Pictorial History”, which was on show from June to August at Surry Hills Library in Sydney, Australia. Here is the written introduction that was published in The Discographer magazine. – Malcolm Cowley ‘Exile’s Return’, published 1934. While Sydney was a long way away from the bustling metropolitan centres that gave birth to the jazz age, its effect was still keenly felt. 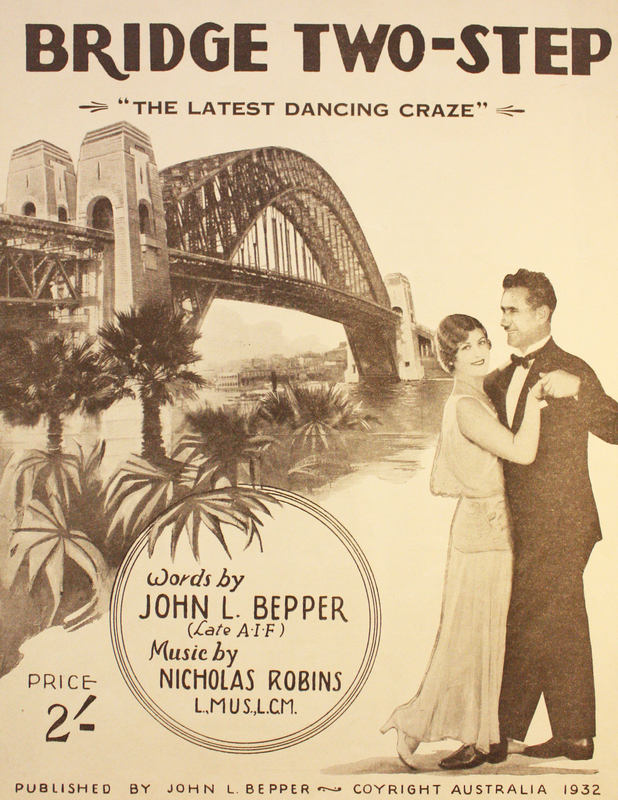 Throughout the 1920’s, dance band music was all the rage in Australia’s urbanised centres like Melbourne and Sydney, where acts from home and abroad were recorded and released on disc. It was against this familiar backdrop – of jazz, parties, flappers and dappers – that I used to explore the record companies and retailers who made Sydney home during a period of fascinating social and cultural changes. The exhibition was not an analysis of these changes, but was instead a pictorial history richly furnished with gramophone discs, labels, sleeves, photos, catalogue cover art, advertisements, articles, stickers, ephemera, needle tins and sheet music. The material displayed was mainly sourced from the State Library of NSW, fellow collectors, and Ross Laird, whose book ‘Sound Beginnings’ is an essential resource on the early record industry in Australia. I also express my gratitude for those who assisted with the exhibition in any way, or who took the time to visit while it was on display from June to August of this year. The exhibition was on-show at Surry Hills Library, which is in an inner-city suburb that is within walking distance of many shops and factories mentioned in the exhibition. I have arranged the following spread to show both the form and content of the exhibition, firstly with photos of the space, and secondly with scans of the material that were displayed in the 30 locked cases throughout the library. All material in this article was scanned, photographed and manipulated by myself, unless otherwise noted. Although I did not aim for the exhibition to be exhaustive or comprehensive by any means, I hope that further research into the area of record retail will yield more insights into such a fascinating and under-appreciated aspect of the music industry. But enough chatter for now. Enjoy the sights, savour the sounds, and dance the Harbour Bridge fox trot! – Michael Alexandratos, December 2015. Complete photo documentation of the exhibition can be seen through this link. Print version of the exhibition in The Discographer Magazine, December 2015, Page 50. Exhibition curated by Michael Alexandratos. All photos by Michael Alexandratos. Special thanks to Ross Laird and the State Library of NSW for loaning material for the exhibition.